“The Flash” #179 (May 1968). Art by Ross Andru. According to the 1976 DC Calendar, today is Barry “The Flash” Allen’s birthday. 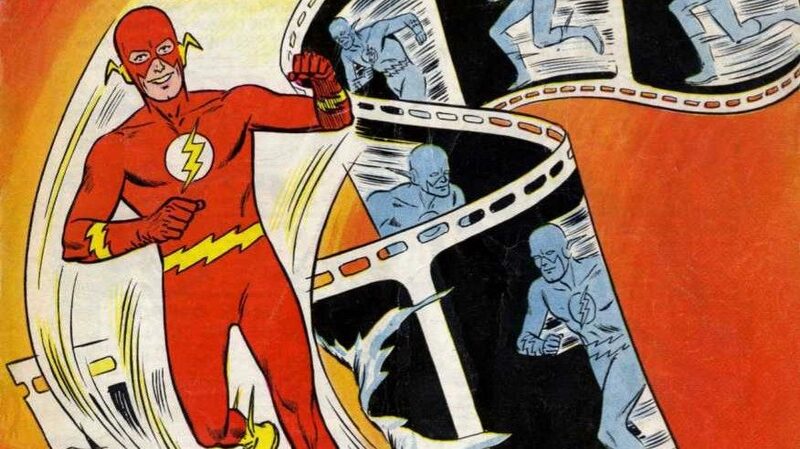 The second of the three major Flash alter-egos, this is the “Silver Age” version, first appearing in “Showcase” #4 back in 1956, and lasting until Barry was killed off in 1985-86’s “Crisis on Infinite Earths.” However, for some reason, Barry was brought back a few years ago, and is now the Flash once more. This came at the expense of replacing the post-Crisis Flash, his former “Kid Flash” sidekick Wally West. Wally had since built up a fan base of his own, especially among those who grew up with post-Crisis continuity. Thus, said fans weren’t thrilled to see Barry come back to displace Wally. I always liked Barry (he’s the Flash I mostly grew up with). Still, I think DC’s handling of multiple characters with the same superhero identity was done much more elegantly via their old multiverse system. There’s also some controversy over how Barry and other older characters brought back in the 2000s to replace their own successors resulted in diversity problems in the DCU. Yes, I know, the villains’ list was longer than the heroes’ list! Also worth noting that two of the villains above are (will be?) born in the future. Abra Kadabra hails from Earth’s 64th century, while the Reverse-Flash is from the 25th century. Being fictional characters, their birthdates aren’t completely set in stone, per the few alternate dates given for Superman‘s birthday. For instance, the 1997 graphic novel “The Life Story of the Flash” for some reason retconned Barry’s birthday to May 13. Unintended by the 1976 calendar writers, of course, but I note the Pied Piper’s birthday falls during LGBT Pride Month. Hartley Rathaway (Piper’s real name) came out as one of DC’s first openly gay characters in the late 80s “Flash” books. After reforming, he soon became a friend of Wally, and made appearances through Wally’s “Flash” book as an ally. Wikipedia states he’s still reformed/openly gay in the “New 52,” but now a friend of Barry’s. Finally, as for why this particular Flash picture with this post? It’s the oldest paper comic in my collection, that’s why! 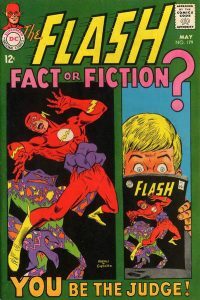 A 1968 “Flash” story where he winds up on “Earth-Prime” (aka the “real world”) and needs help getting back to Earth-1. Barry’s birthday was retconned in The Life Story of the Flash. The canon date is now May 13. JarrietFair aka black Vulcan speaking. I love the flash and Barry Allen. To me Barry Allen is more a cop in central city. People say he’s a police scientist who works in the crime lab.but let’s give Barry and the flash both credit where credit is due. He fights crime to keep central city safe. And he does it in a flash. So here’s to you Barry Allen happy birthday with best wishes.